The Time War rages through space and time – two powerful enemies in a fight to the death. The Doctor keeps to the fringes of the conflict, helping where he can. He is not a warrior. Not yet. 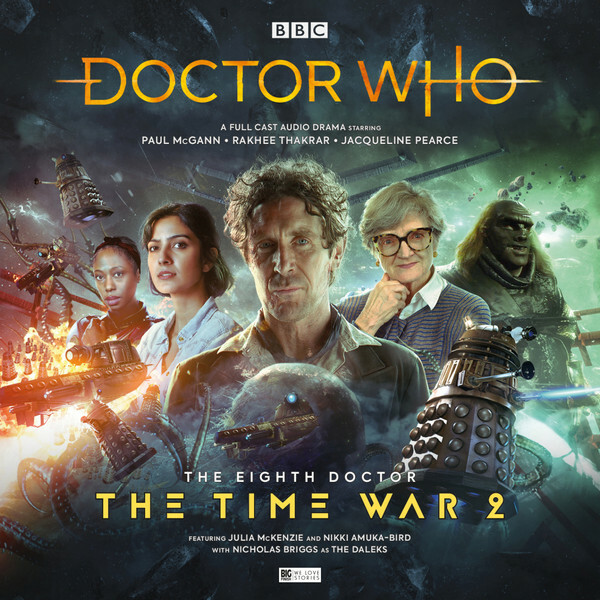 Paul McGann (The Doctor), Rakhee Thakrar (Bliss), Nicholas Briggs (The Daleks), Jacqueline Pearce (Cardinal Ollistra), Julia McKenzie (The Twelve), Nikki Amuka-Bird (Tamasan), Amanda Root (Lendek), Rakie Ayola (Pollia / Lambda Epsilon), Guy Adams (Rendo), Simon Slater (Carvil / Shaler), Jon Culshaw (Doctor Ogron), Victor McGuire (Borton), Anya Chalotra (Ensign Murti), Tania Rodrigues (Chief Panath), Surinder Duhra (Executive Officer Omor). Other parts played by members of the cast.